We all know I tend to suffer from Blogger Envy...and Cybele is almost always the one to give it to me (Jim being the other). 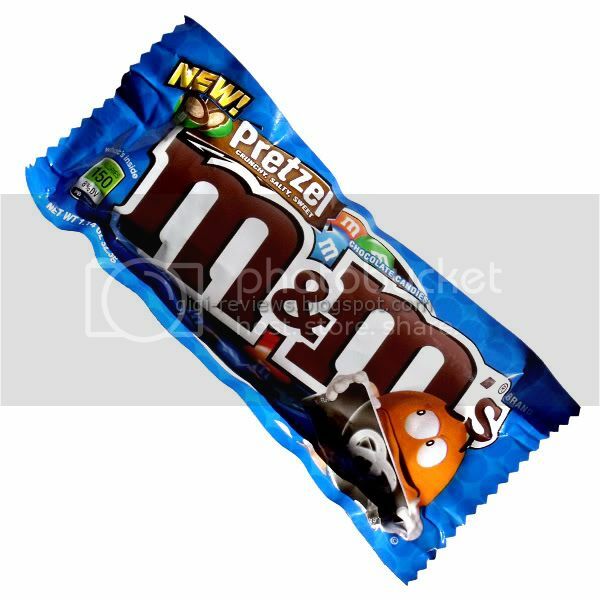 Waaaayyyy back last year, she mentioned that there would be a new pretzel M&M coming out this year. And last week she posted her review (read it here). Finally, the new M&M's are out in the wild! Crispy M&M's aside, I love the idea of this flavor. I have a highly documented love of chocolate and pretzels together. In fact, I have only forgiven Trader Joe's for discontinuing the Dark Chocolate Pretzel Bites because they at least replaced it with the somehow even more amazing Dark Chocolate Pretzel Bark. So, how do these M&M's stack up? Each M&M is roughly the size of a Peanut M&M...or maybe a little bigger, about the size of a classic gumball. Biting into the M&M, I was expecting a really crispy, hard pretzel type of crunch. 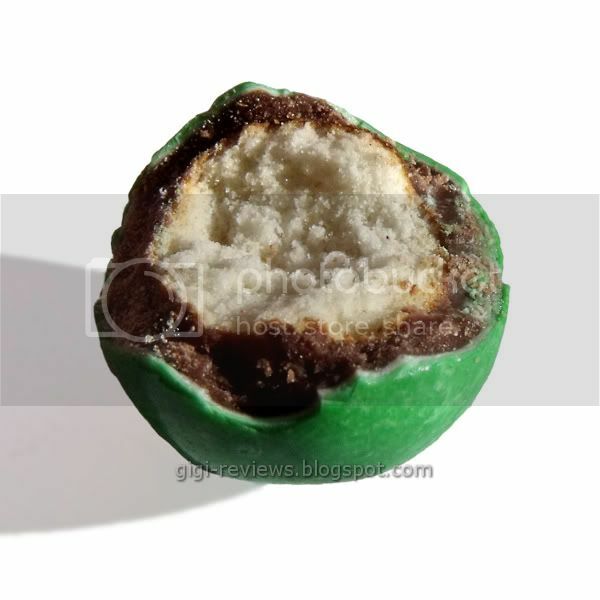 Instead, the texture was sort of like the bizarre love child of a malted milk ball and a stale pretzel. The bite is weirdly airy, and yet they have that almost too-hard texture of thick pretzels that have gone stale. The flavor of the pretzel is OK. It's not as assertive as I would have liked it to be. It's lightly salty and kind of yeasty. But it also has sort of a generic cracker flavor. The chocolate is classic M&M's milk chocolate. A little sweet, but otherwise smooth and unremarkable. The candy shell added some welcome crunch. Overall, while these aren't bad, they are nowhere near as fantastic as the Trader Joe's Pretzel Bites had been. Actually, the only thing that these M&M's really brought to the table that TJ's didn't is that the candy coating really did add a nice bit of extra zip. Are these the worst M&M's ever? No. They are just disappointing. There was so much potential here, yet they manage to rise only to "meh." Oh well -- at least in the case of the orange M&M, one job was created. Now I am the person with blog envy :D I know you didn't rate them very highly but the completionist within me is desperate to try these. Jessielou: I have yet to meet a single person who didn't love them and yet they are no longer made. I don't get it. They made a brief reappearance of sorts when M&M's made the Crispy Mint limited edition that were a product tied into "Indiana Jones 4: Why The Hell Are There Aliens?" Are the Crispy M&M's still sold there? And I am actually sending off a package to Cinabar tomorrow, if you send me your address I will pop a pack off to you. It'd be no trouble at all so let me know! Oooo! Look at that half-candied close up. I want it. Right now. So what are the worst M&M's ever? The pic really does look like a malt ball. I love chocolate covered pretzels, as long as they are covered in GOOD chocolate. Preferably dark chocolate. It saddens me to know that the great Gigi does not approve. I shall not buy. Cinabar: Well your getting these!- although, I STILL don't understand why we can't have the Crispy M&M's. There is probably some really lame reason behind it. Natalie: Hands down the Wild Cherry. I hated them so much I never even reviewed them. Net: You crack me up! Get the TJ's Pretzel Bark THAT is truly excellent. In response to your email regarding M&M'S CRISPY CHOCOLATE CANDIES. Thanks for contacting us about M&M'S CRISPY CHOCOLATE CANDIES. Because we are reviewing our marketing strategy, this product is unavailable at this time. Your comments will be shared with our Marketing Staff. The product cannot be purchased via the Internet nor directly from us. Oh well, it's a form letter- but that is more courtesy then Coca-Cola has shown. 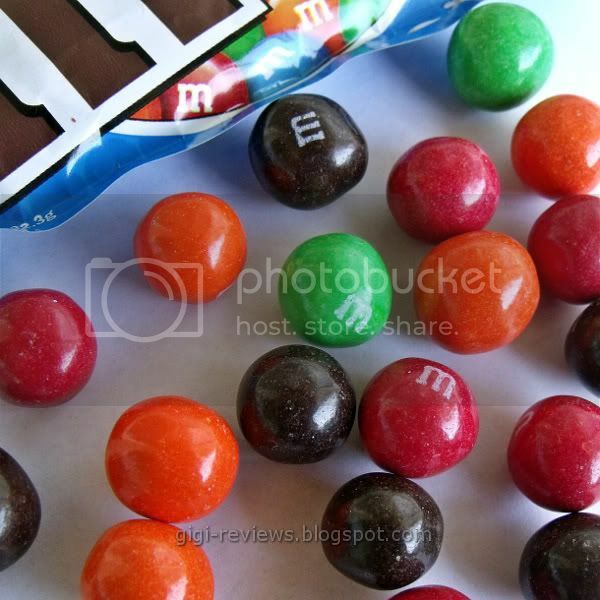 I miss my Crispy M&M's!